With Microsoft Azure, any developer can easily add a membership service immediately when you are ready to use it. In my other tutorials we started to create the "Northwind Cafe" sample application. Traditionally, we would store our user information in an SQL Server database. While that would be the easiest place to store user information. There are many downsides to doing that, for instance you have to lock down the SQL Server so that hackers are not able to hack into the database. You also have to worry about network security and so forth. 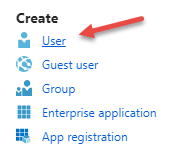 The beauty of Microsoft Azure Active Directory is that you let Azure take care of all of that. It also comes with many services already built-in like OAuth, and two-factor authentication. Before we go on, we need to make the distinction that Azure Active Directory is not the same thing as your on-premise Active Directory. 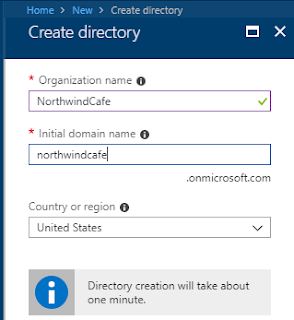 Your on-premise machines will still be managed by your on-premise Active Directory. Azure Active Directory is designed to scale your internet-based applications and APIs. 2. 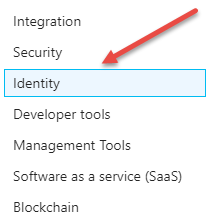 On the left hand side under "Azure Marketplace" select "Identity"
3. 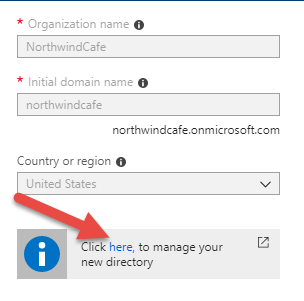 Select "Azure Active Directory"
4. On the "Create Directory" step fill in your directory information. Organization Name is the name of your Active Directory, domain name is the fully qualified name of your Active Directory. The domain name has to be unique in Azure universe. So you have to pick a unique domain name. Country or region is the country or region you reside in. After you fill in the required information, click "Create" at the bottom of the screen. 5. A progress bar will appear to indicate that the directory is being created, once the successful message pops up, you click on the link that shows up to see your newly created directory. 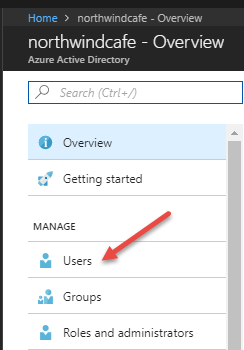 Now your should see the newly created Azure Active Directory in the "Azure Active Directory" screen in your Azure Dashboard. 6. Now that we have an Azure Active Directory we want to create a test user to make sure everything is working. On the right hand side of the screen you should see the "Create" section. Underneath it, click on the "User" link to launch the create user wizard. 7. Let's create a customer user for the Northwind Cafe. I want to point out that the user name field needs a fully qualified name. 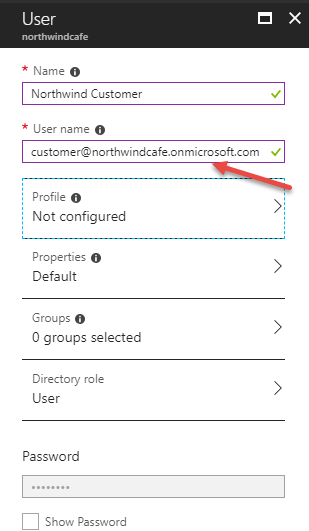 For my Azure Active Directory it's @northwindcafe.onmicrosoft.com. Your fully qualified might be different. That is different than the previous UI, which has a dropdown menu with directories that you've created. I like that UI better because the fully qualified names are long and hard to remember. After everything has been verified click the "Create" button. 10. 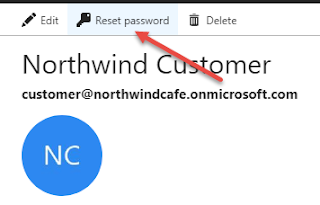 The first thing you want to do is reset the password by click on the user link and click on the "Reset Password" button, because Azure Active Directory created a temporary password for your when you created the user. There you have it, that's how you create a user in the cloud (no pun intended).